The major concern with people who have just bought steel toe work boots is that they are too narrow for their feet. This is a no-brainer. To tell whether the shoes are fitting or not you need to wear them. While this method is highly effective, it’s slow and can take you several weeks before the boots are wide enough. What you need to do is to wear the boots daily for a few weeks. In addition to this widening your shoes, it also allows you to get used to the steel at the tips of your foot. This is especially important if you have never worn steel-toed work boots before. If you are finding the shoes uncomfortable, you should consider putting on a pair of thick steel toe socks. When it comes to the sole, you should bend the body of the boot back and forth a few times before you wear the boots. When you do this for a week or more, the boots should be wide enough, and you can wear them comfortably to work. This method comes in handy when you just bought the work boots, and you want to wear them to work the following day. What you need to do is to fill a bag with water and after removing all the air, put the bag inside the work boot. You should then place the boot with the bag in the freezer overnight. Basic physics teaches us that when water condenses, it expands, which results in the widening of your work boot. In the morning, you should remove the boot from the freezer and let the ice to thaw for at least 20 minutes. You should avoid removing it too soon as you will end up damaging the boot. Studies also show that doing it too soon results to cracks on the boot. Just as alcohol loosens you up, it also relaxes the work boot fibers thus making it wider and more comfortable to wear. You need to use a spray gun to apply 70% rubbing alcohol on the work boot. After the boot has soaked in the solution, put it on for a few minutes to force it to widen. You can let the boots dry while on your feet, or you can remove them and place them in an area where they will dry comfortably. The cool thing with widening your work boots using this method is that you can use it a number of times. If you feel that the boots aren’t wide enough, you should reapply the alcohol and repeat the process. Many people shy from using boot stretching sprays as they are expensive, but if you have the budget, you should go ahead and use them. The sprays work like the rubbing alcohol—they loosen the leather fibers and widen the work boot in the process. You can find the stretching sprays in your local stores or online. You can apply the spray on the entire work boot or a specific problematic area. After applying the spray, you should wear the work boot for some time so that you can stretch it out. The cool thing about using the sprays is that you can carry them to work so that you can use them during the day when you notice a problematic area. The stretcher is a mechanical device that widens your work boot to your desired length and width. For you to widen the work boot, you need to insert the stretcher in the way that you want to stretch the work boot. You should then set your preferred size and turn the lever for the stretching the occur. For the stretch to stick, you should keep the work boots in the stretched state for 1-2 days. You should be cautious when using this method to widen your work boots as it has been shown to be highly risky and can result to extensive damage to your work boots if you aren’t keen when doing it. You need to wear your steel toe socks and then use a hair dryer to heat the outsides of the work boot. The heat from the hair dryer will loosen the leather fibers, and since you will be wearing thick socks, you will easily widen the boots. You should note that you should continue wearing the work boots until they have cooled down. After they have cooled down, you should apply leather conditioner to restore the integrity of the leather. If you have waterproofed work boots, you can pour hot water on them, and they will widen. This is a simple method of widening your work boots. All you need to do is to use a broom or mop stick and stick it to your footwear. You should aim the stick to the part that is pinching you—usually the heel or toe. After aiming, you should firmly bend the work shoe over the stick, and in the process, you will cause the leather to stretch out of the sole thus widening it. A telltale sign that the work boot has widened is the outward discoloration of the leather material. While this method is simple and highly effective, you should avoid overstretching the work boot as you risk damaging it. Here you need mink oil or a leather conditioner. You should apply a substantial amount of the oil on the outer parts of the work boot, focusing on the pinching areas. You should let the oil stay on the boot overnight. In the morning, remove the excess oil and wear the boot. The role of the oil or leather conditioner is to soften the work boot so that it stretches easily when you wear it. You should avoid applying too much oil to the extent that it becomes difficult to remove. If you apply the oil and the boot doesn’t get wide as much as you would want it, you should repeat the process. There are plenty of benefits that come with widening your work shoes. One of the benefits is that you are comfortable when working. This obviously translates to more productivity thus you finish the project fast and earn more in the long run. The other benefit is that you protect yourself from issues that come with wearing tight work boots. 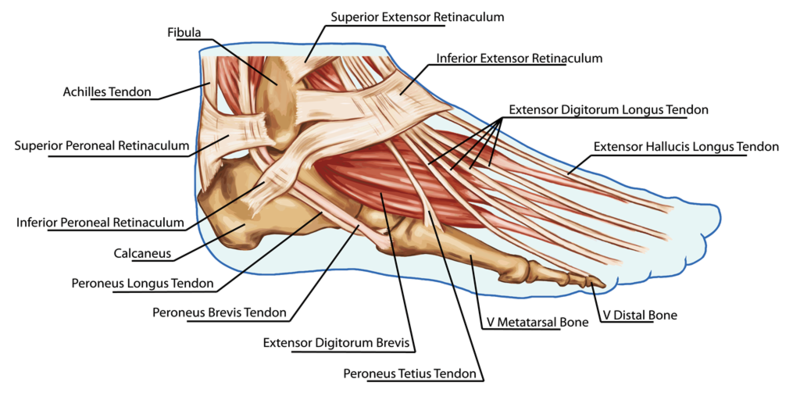 Bunions are a bone deformity characterized by the big toe turning inwards towards the second toe. In most cases, there are no symptoms, but if you continue wearing the boots for a long time, you stand to experience throbbing pain and inflammation. To fix this problem, you only need to widen your work boots or find a work boot with a wider toe box. If you have been having the condition for a long time, you might consider undergoing surgery. The hammer toe deformity comes about when the toes curl up, instead of lying flat, usually at the middle toe joint. The condition comes about due to the weakening of the muscles that attach to the toes. This is as a result of wearing your tight shoes for a long time. In addition to wearing wider shoes, other treatment options that you have include: wearing toe splints, icing, taping, and undergoing surgery. Corns are usually raised, soft tissues that form between the toes, usually due to friction and pressure from wearing tight work boots. To fix this issue, you need to apply a foam pad over the corn thus relieving the pressure. You also should consider wearing wide safety shoes that won’t smash your toes together. These result when you wear the tight work boot for a long time to the extent that the steel toe box forces the second or third to move the adjacent toe. Symptoms of the condition include: swelling, sores on the crossing toe, and paint on the ball of the foot. The treatment options that you have include: ice, using spacers, tape, and wearing wide work boots. In extreme cases, you might need to undergo surgery. You will have ingrown toenails when you cut the nail too close to the tip such that the nail doesn’t have enough room to grow upward as it normally does. Instead, the nail turns inward and begins developing into the soft tissues of the toe. With this condition, you not only need to wear wider work boots, you also need to undergo nail debridement at the podiatrist’s office. A neuroma is a benign growth of the nerve tissue along the nerve pathway. When you are suffering from the condition, you tend to experience pain, burning sensations, and numbness that comes from the ball of the foot to the toes. In most cases, neuromas affect the third and fourth toes, but they can also affect the other toes. The best treatment option for the condition is surgery. These are some of the tips on how to widen steel toe boots. You should note that you don’t have to widen the boots every time you buy them. To avoid doing it, you should wear boots that are fitting or have a wide toe box. This calls for you to try on the work boots at the store before you part with your money.